do NOT under any circumstances call the number shown (888-710-4402). You’ll be connected to scammers in India who will tell you all sorts of incomprehensible things about your machine and ask you to let them connect with your computer. Look at how bad the English is – practically incomprehensible. This is NOT the number for Microsoft Technical Support. These folks are liars, criminals, and all-round Very Bad People. Allow these drones to access your machine and you’re likely to end up with all your files encrypted by ransomware, or have your machine turned into part of a spamming robot network, or have your financial data stolen, or something equally insidious. Kill Chrome using the Task Manager and re-launch. These exploits are usually encountered when malicious code is run from an ad somewhere on a page you visited, and is usually not the fault of the page itself. It’s Christmas, and if you haven’t ever seen this you deserve to. We all deserve to. I first heard this read at an office Christmas party; the reader, one of the loveliest people I have known, read this with an absolute deadpan delivery – and they almost had to carry me out on a stretcher. I have no idea who the original author is, despite exhaustive searching. If anyone knows, please leave a comment and I’ll add the appropriate credit. See Mother, see Mother laugh. Mother is happy. Mother has many plans. Mother has many plans for Christmas. Mother is organized. Mother smiles all the time. The shopping is all done. See the children watch TV. Look, look. Mother is not smiling. See Mother put in the zipper wrong. Look. Look. See Mother take a tranquilizer. See Mother. See Mother buy raisins and nuts. See Mother buy candied pineapple and powdered sugar. bananas, and spices, and vanilla. Look. Look. Mother is mixing everything together. See the children pull the taffy. See Mother pull her hair. See Mother clean the kitchen with the garden hose. See Mother. See Mother wrap presents. See Mother look for the end of the Scotch tape roll. See Mother go. See Mother go to the store 12 times in one hour. Go, Mother, go. See Mother run faster. Run, Mother, run. See Mother trim the tree. See Mother have a party. See Mother make popcorn. See Mother wash the walls. See Mother forget the gift for Uncle Harold. See Mother get hives. Go, Mother, go. See the far-away look in Mother’s eyes. It is finally Christmas morning. See the happy family. Father loves fruit cake. Father loves Christmas pudding. Look. Look. See the happy children. See the children’s toys. Santa was very good to the children. The children will remember this Christmas. See Mother. Mother is slumped in a chair. Mother is crying uncontrollably. Everyone helps Mother to her bed. See Mother sleep quietly under heavy sedation. Companies spend large money developing a logo that speaks to the world. They are an integral part of brand recognition – who in the world doesn’t recognize the Coca Cola logo, even if they don’t speak English or use Roman script? Who in the world doesn’t see the “golden arches” and immediately know that McDonald’s is close by? These logos and these brands are worth millions if not billions of dollars, and they are ferociously protected and actively marketed around the world. Some logos, however, are more than eye-catching; they’re supremely clever, some from equally powerful companies and some from local enterprises. Amazon, of course, ships everything from A to Z and a lot of stuff in between. The arrow, in addition, looks very much like a smile, suggesting how pleased you’ll be with your order. Just don’t talk to the people who work there – they’re not terribly happy with their job conditions. Baskin-Robbins prides itself on its 31 flavors (seen above in the logo) but not on their value as health food. Duh. John Robbins, son of founder and owner, left the empire for more wholesome pastures, and encouraged his father to step away from the inevitable when he got him to live a healthier lifestyle after the father had been diagnosed with diabetes, high blood pressure and heart disease. Years before, partner Burt Baskin had died from a heart attack. One of the cleverest logo inclusions is the one FedEx (or their designer) came up with. They want you to know that your package is on the way, and so that little subliminal arrow helps you understand that they move stuff, and quickly. Spartan golf clubs are represented by a man with a powerful swing – but if you look at the entire picture in a different light, you see a Spartan warrior in profile with his iconic helmet. This is one of the most delightful recent designs I’ve seen, with a very creative use of positive and negative space – the swan, the mallard, and the ampersand (&) all combined into a very pleasing and evocative image. Artwork was created by John Randall. Ever look closely at the Toblerone logo? Seen the bear in that mountain? Berne, Switzerland, is notable for its bears, icon of the city. Yes, the home city of Toblerone is also found in the name. Then there’s the Tostitos logo. Look closely and you’ll see two folks sitting at a table with salsa, sharing a tortilla chip. Le Tour de France logo clearly represents a person on a bicycle, with one wheel yellow, probably evoking the yellow jersey that the winner gets to wear. Unless he’s outed for massive doping, but that’s another story. In 1990, Toyota debuted the three overlapping Ellipses logo on American vehicles. The Toyota Ellipses symbolize the unification of the hearts of our customers and the heart of Toyota products. The background space represents Toyota’s technological advancement and the boundless opportunities ahead. One of my earliest PC-type computers was a Vaio – and their logo is a brilliant blending of the analog computers of the past (represented by the sine wave seen on an oscilloscope ( and the digital computers of today, represented by the “1” and “0” of binary bits. Yoga Australia managed to work the shape of their homeland into the image of a young lady in a yoga pose – Oi oi oi, mates! Lastly – and there are many others that I haven’t touched on in this post, but these were some of my favorites – is the logo for Hitachi, which I have written about in detail. Hitachi was once one of the most well-known brands in electronics; for more about this fascinating logo, click through. Naturally, there is the other end of the scale – logos which are awful for any number of reasons. This one just hurts to look at because of the clashing colors. Many of the ones which have been called out can’t be shared here, as I try to keep this blog on a family-friendly plane – but if you’re interested, just do an image search on “the world’s worst logos” and you’ll see what I mean. Logos, like domain names, can contribute to the success or failure of an enterprise, which is why companies are willing to spend significant amounts having their logos designed. If the stars align, a logo can be a tremendous and memorable success. 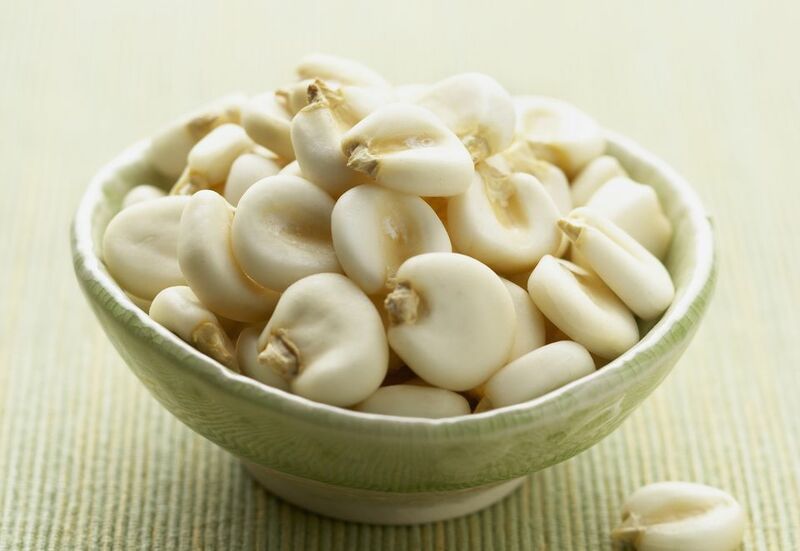 When I was a kid, I remember seeing cans of Hominy in the grocery store. The fact that it looked like alien bloated corn that had been exposed to gamma rays and gotten very sick (oh wait, that’s huitlacoche) didn’t do much for my desire to ever try it. But time heals all things… or at the very least tends to change things, particularly one’s tastes. You can visit my Banquet from Hell, and see why I was awarded the honorary title of “Grand High Culinary Inquisitor” by Howard Tayler, author of Schlock Mercenary. I am passionately fond of Menudo, a wonderful, hearty Mexican dish which includes both tripe and hominy, and later fell deeply in love with grits, a porridge made with ground hominy and very popular in the south. Again, I had heard of this as a kid and had no desire to try it because it sounded like eating finely crushed gravel. Fool that I was. You’ll notice that I use the singular when describing grits, and that’s because it’s not plural. Grits is singular, and grits is wonderful. I never remember sitting down to breakfast in my childhood home in Thomasville without having grits. And it wasn’t the instant kind, either. My mother, before we went to bed at night, would put the grits on to soak, put the grits in the top of a double boiler, let the grits soak overnight, so it would be ready to cook in the morning. And oh, I guess it tasted… I was just accustomed to good grits. And I will now stop a minute to carry on my campaign for trying to convince people that grits is a singular noun: you say “the grits is good, the grits is hot.” Just because it ends in an “s” doesn’t make it plural; it’s in the same category with “news” and “measles.” So bear that in mind. But… on special occasions, sometimes for supper we’d have grits again. Cheese grits, sharp cheddar cheese, grated and stirred up and hot grits. Aah, it was marvelous. And if my brother had gone hunting and had come back with quail or dove we’d have grits with the dove and quail. There’s just no finer eating in the world than that on a cold weather’s day. And the baked sweet potatoes that were always better in the winter time. Just slathered with butter and baked until they were soft, and almost mushy inside. Slit ’em open and put butter that we got down at little Miz Anderson’s, bought butter from her, she had a good cow that had rich milk and wonderful butter. And the soup that my mother used to make, vegetable soup, I’ve never had any as good as she made, and I don’t know how… I’m sure she didn’t have a recipe, she just used what was available – but sustaining, comfortable winter food and somebody would have a hog-killin’ and we’d get some of that fresh meat, the ribs and he pork chops, and the… oh, it was all so good, and that was … the hogs were killed only in the wintertime on a very cold day, and they were a treat to have, and I always looked forward to them. But it was the grits, that stuck to your ribs and was sustaining, comfort food. And if you want it really comforting, add cheddar cheese, sharp, and stir it up, and eat, and enjoy. I heard this piece on NPR years ago, and you can still listen to it at WLRH in Huntsville. Add that beautiful, mellow southern accent and you can feel her joy in the memories of her childhood, and the rich goodness of the foods she relished… including grits. ¹ Many of Windham’s works, including audiobooks, are available over at Amazon.